Taxi service in Chandigarh is provided local radio cab service in Chandigarh & it's around. Book cab online & on phone too. Local radio cab service in Chandigarh is available 24 hours & will reach on pick up location within 15-20 minutes after booking confirmation. On Railway station, Bus Stand & Airport, we are available within 10-15 minutes after booking. 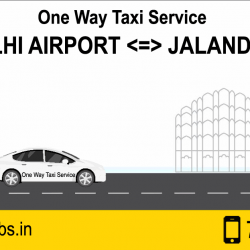 We are authorized taxi service to work in Chandigarh. All facilities are available within cab like helpline no., fire extinguisher, GPS navigation, complaint register etc. We follow all the rules which are mandatory as per Govt. Documents. We also provide tour packages for Himachal Pradesh at Shimla, Manali, Dalhousie, Dharamshala, Palampur, Rohtang Pass, Leh Ladakh. We have good & affordable packages for Corporate tours. In tour packages, we provided taxi with Hotels bookings. Copyright © 2019 Chandigarh Cabs 7814646464. Powered by WordPress and Envince.